Hillary Rodham Clinton may be in a whole heap of trouble now that news has leaked that the former Secretary of State used a personal email account — possibly CoOlHiLl27@aol.com — to conduct her government business and never had an official state department address during her tenure. Cool, laid-back official or irresponsible luddite? You decide. "It is very difficult to conceive of a scenario — short of nuclear winter — where an agency would be justified in allowing its cabinet-level-head officer to solely use a private email communications channel for the conduct of government business," said Jason R. Baron, a lawyer at Drinker Biddle and Reath who is a former director of litigation at the National Archives and Records Administration. "I can recall no instance in my time at the National Archives when a high-ranking official at an executive branch agency solely used a personal email account for the transaction of government business," said Mr. Baron, who worked at the agency from 2000 to 2013. The NY Times reports that even though Clinton's advisers say she was operating within the "spirit and letter of the law" that it's baffling why she only used her personal email account. Any official government email should be preserved for record-keeping and news purposes and while some officials may need to use their personal email accounts when the government servers aren't working, using your hotmail address for important state business on the regular is unheard of. As Clinton gears up for a presidential campaign, this discovery raises more red flags about her lack of transparency in her role as a government official. In 2013, hacked emails obtained by Gawker suggested that Clinton was receiving counsel from one of her husband's former aides, Sidney Blumenthal, a man who had been banned from being part of Clinton's staff (by The White House) for running a "smear campaign against Obama." This current scandal (scarequotes removed) is raising more concerns about Clinton's ability to be an open and honest leader. 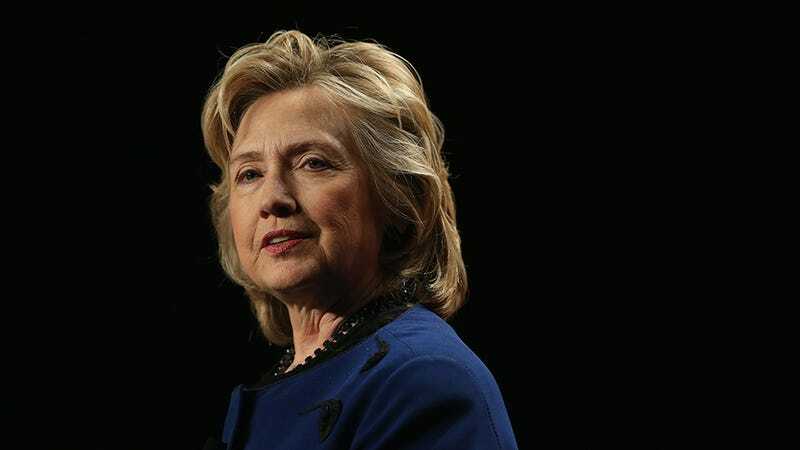 Clinton has so far turned over the emails that The State Department has asked for, including about 300 missives about Benghazi that were found in her personal account. Update: Clinton used her own domain, clintonemail.com, to send emails and not AOL.